[102 Pages Report] SMC is a mixture of inert fillers, resins, and fiber reinforcements. It is a fiber-reinforced polymer composite. It is often used in applications such as transportation, construction, among others, pertaining to its high strength to density ratio and corrosion resistance. The low cost of SMC makes it favorable over other traditional materials, for instance, iron and steel. BMC is also a mixture of inert fillers, fiber reinforcements, and resins. BMC is generally produced by the injection molding process, whereas SMC is mainly produced by the compression molding process. The SMC and BMC market is estimated to grow from USD 2.36 Billion in 2015 to USD 3.26 Billion by 2020, at a compound annual growth rate (CAGR) of 6.69% from 2015 to 2020. The report aims at estimating the market size and future growth potential of SMC and BMC market across different segments such as application, fiber types, resin types, and region. The base year considered for the study is 2014 and the market size is forecasted from 2015 to 2020. A shift in the trend from traditional materials such as iron, aluminum, and steel towards the usage of light weight SMC and BMC is witnessed. SMC and BMC offers properties such high strength, corrosion resistance, fire & flame resistance, good electrical insulation and a few others resulting in increased demand of the product. Usage of light weight SMC and BMC in the transportation application is expected to substantially increase the growth of the market during the forecasted period. The research methodology used to estimate and forecast the SMC and BMC market begins with capturing data on key company revenues and raw material costs through secondary research. The product offerings are also taken into consideration to determine the market segmentation. The bottom-up procedure was employed to arrive at the overall market size of the global SMC and BMC from the revenue of the key players in the market. After arriving at the overall market size, the total market was split into several segments and sub-segments which are then verified through primary research by conducting extensive interviews with key people such as CEOs, VPs, Directors and executives. This data triangulation and market breakdown procedures were employed to complete the overall market engineering process and arrive at the exact statistics for all segments and sub-segments. Raw materials used in manufacturing of SMC and BMC are resins and fibers. The major resins suppliers consist of companies such as Huntsman Corporation, Hexion Inc, Dow Chemical Company, and among others. The fiber manufactures include PPG Industries, Toray Industries, Jushi Groups, Owens Corning and others. 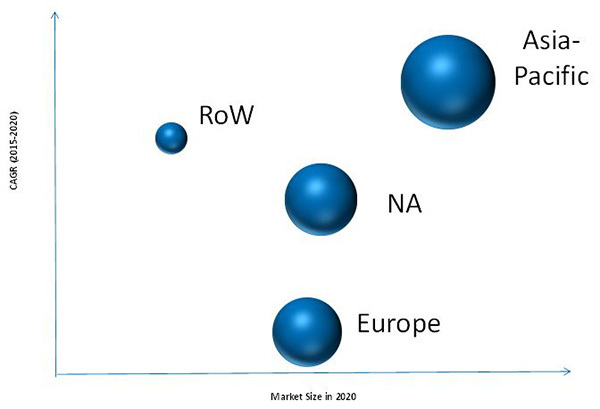 The SMC and BMC market comprises of manufacturers such as IDI Composite International (U.S.), Menzolit GmbH (Germany), Continental Structural Plastics (U.S.), Core Molding Technologies Inc. (U.S.), Showa Denko K.K. (Japan) and so on. The application industries of SMC and BMC majorly include transportation, electrical & electronics, and construction. The major applications of SMC and BMC are transportation, electrical & electronics, construction, and others. Other applications include industrial, medical, household appliances, renewable energy, and so on. Transportation is estimated to be the fastest-growing application for SMC, whereas electrical & electronics to be the fastest-growing market for BMC during the forecast period. Due to their excellent electrical insulation, good mechanical properties, and surface appearance, SMC and BMC materials are preferred over other traditional materials such as iron, aluminum, and steel regarding their usage in end-use industries. Depending upon the end use application SMC and BMC are formulated to achieve strength, stiffness, corrosion resistance, flame resistance, and high dimensional stability. There are two major fibers used as reinforcements for the SMC and BMC, which are glass fiber and carbon fiber. Glass and carbon fiber majorly determines the rigidity and strength of SMC and BMC materials. Glass fiber largely dominates the SMC and BMC market, as they are comparatively cheaper and readily available. The mechanical properties of SMC and BMC are majorly determined by the type of reinforcement. Carbon fiber is mostly used as reinforcement where high strength and rigidity are required. Due to high cost of carbon fiber, it is used in small quantity in the global Sheet Molding Compound Market & Bulk Molding Compound Market. Asia-Pacific is the major market for glass fiber-based SMC and BMC due to low raw material cost in the region. The usage of carbon fiber is expected to increase in the European region due to increase in application of carbon fiber SMC and BMC in the aerospace industry. The increasing need of lightweight and fuel-efficient vehicles is driving the SMC and BMC market. Currently, Asia-Pacific is the largest consumer of SMC and BMC. China, Germany, and Brazil are among the major markets of SMC and BMC. The Asia-Pacific region is projected to register the highest CAGR during the forecast period. The market for SMC and BMC in the Middle East within the RoW region is expected to grow with the highest CAGR during the forecast period. The growth of the transportation and electrical & electronics industries has led to increase in demand for SMC and BMC. Plastic alloys and superior composite materials are some of the substitute products available in the SMC and BMC market. Continental Structural Plastics (U.S.) and Core Molding Technologies Inc. (U.S.) are the few leading players in the Sheet Molding Compound Market & Bulk Molding Compound Market. 11.2 Citadel Plastics Holdings Inc.
11.5 Core Molding Technologies Inc.
11.6 Continental Structural Plastics Inc.
11.9 Changzhou Runxia Fiberglass Products Co., Ltd.